In December, our students participated in a door decorating contest centering on the theme of Kindness. The children did a wonderful job and creativity flowed; doors lit up, played music and featured photos as well. Congratulations to Mrs. Kilkenny’s 3rd Grade, for winning the 1st Annual Winter Door Decorating Contest. 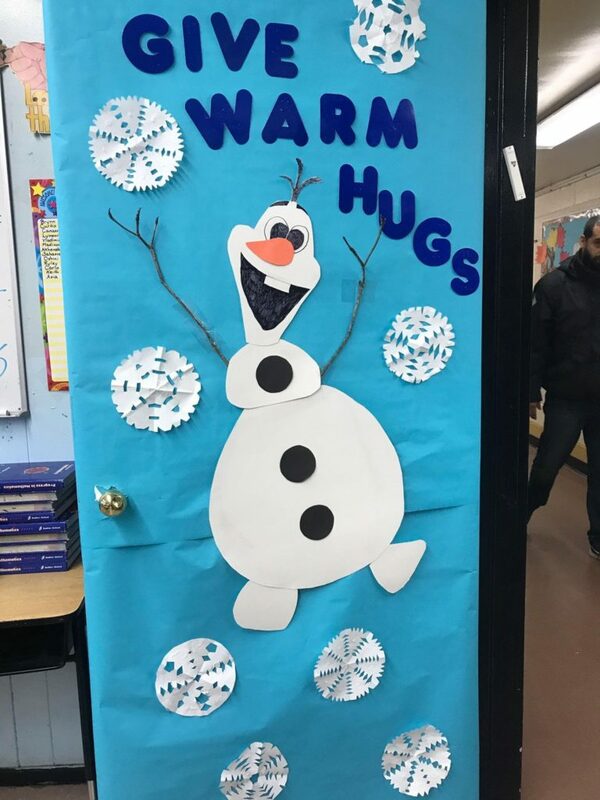 Their Olaf themed door, designed by Syniah W. (8th grade), was a hit with all, incorporating creativity and kindness. The children had fun at their ice cream party prize!